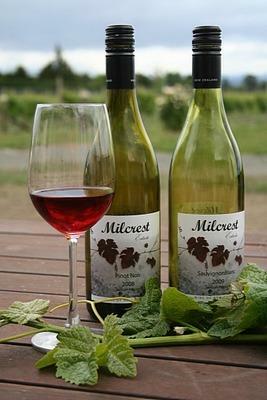 Milcrest Estate is a family owned vineyard/wine producer founded in 2005 and situated at the foot of the Richmond Ranges on what used to be the alluvial terrace of the Waimea River in Hope, Nelson. The site was chosen for its unique, frost free, free draining alluvial properties and early ripening microclimate. Now producing 5 award winning wine varieties and offering on-site luxury accommodation with a difference.